Goldman Sachs (GS) shares were up over 3% in Tuesday’s session, and they look like they could continue higher. 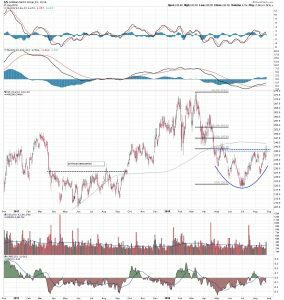 The stock has been consolidating for several months forming a large rounded bottom below a wide area of horizontal resistance. This resistance area is situated between $240, and the 38% retracement level of this year’s high/low range, and the 200 day moving average, currently at $244.60. Daily moving average convergence/divergence has been making higher lows in bullish divergence to the stock price. It recently made a bullish crossover above its center line. The indicator directly below the upper MacD is another moving average convergence/divergence indicator adjusted to resemble the weekly MacD. It has, also, made a bullish crossover, confirming positive momentum on multiple time frames. Volume spiked on Wednesday but Chaikin money flow is still in negative territory. 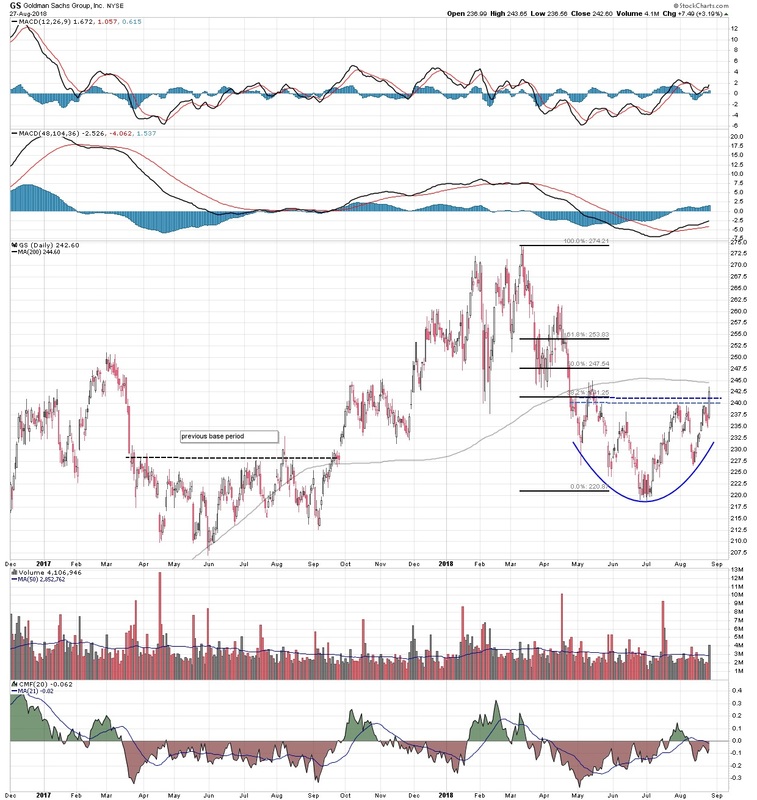 The measured upside price objective of the rounded base pattern targets the $262 area. But Goldman shares went through a similar length consolidation phase around the same time period in 2017, and that subsequent breakout saw an upside move that more than doubled the projected return. Goldman looks ready to run.